Prepare ingredients: Thinly slice onions, mince garlic, grate ginger, and dice up chicken breast. 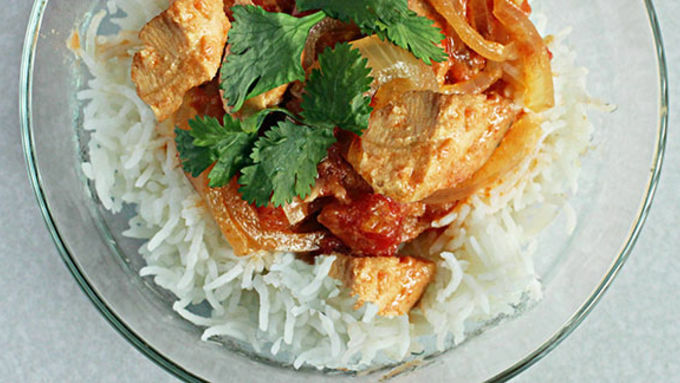 Mix everything together with the rest of the ingredients in a slow cooker and cook for 4 hours on high or 6 on low. 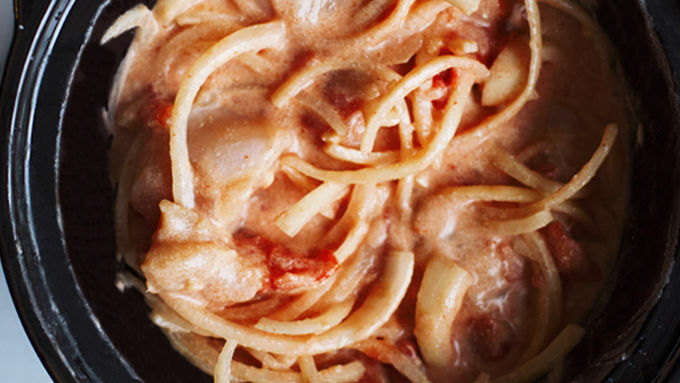 It’s definitely still winter, which means we definitely still need some comfort foods. This is where the slow cooker enters and saves us time and effort. 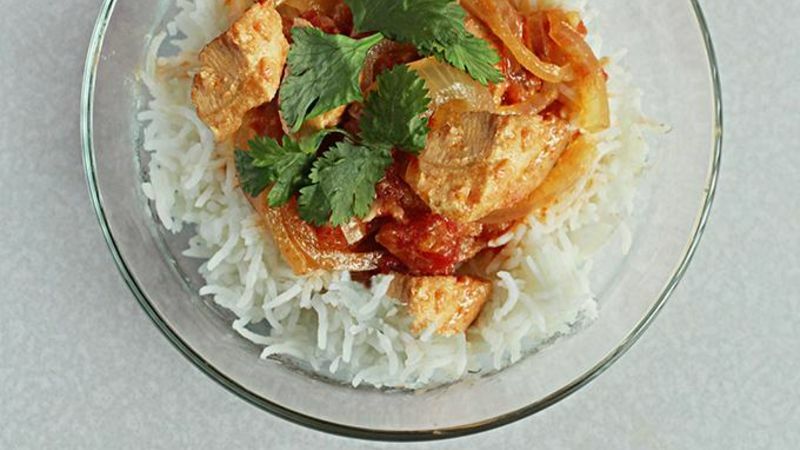 Seriously, this chicken coconut curry-esque dish is something you can throw together, go to work, and come home to dinner being ready. 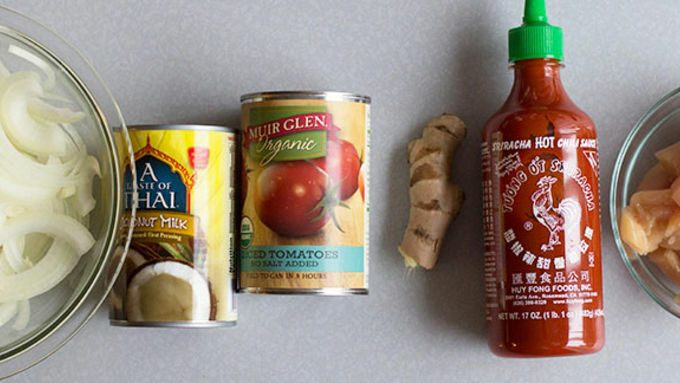 Also a plus: You probably have most of these ingredients in your cupboard already. Let’s talk ingredients: thinly sliced onion, minced garlic, coconut milk, my favorite Muir Glen tomatoes, ginger, SRIRACHA, and some chunks of chicken breast. All of this gets throw into a slow cooker with a teaspoon of salt. I’m using no salt-added tomatoes so if you can’t find those, go ahead and only use ½ teaspoon. Basically just toss your ingredients into the slow cooker and that's it! Seriously easy, right? The best way to serve this would be with some basmati (or cauliflower rice! ), topped with cilantro and more sriracha if needed. Enjoy!